I've been searching on craigslist and amazon since the summer for wire racks to hold all my science magazines without dropping 200+ bucks on the project. I've been saving magazines for years (literally. I have Kids Discover magazines dating back to when I was in 4th grade.) and they are still in great shape and relevant so I'm looking to keep them that way. ... it just so happened another teacher wanted to get rid of them and was putting them in the hallway as I passed by her room.... PERFECT timing!! 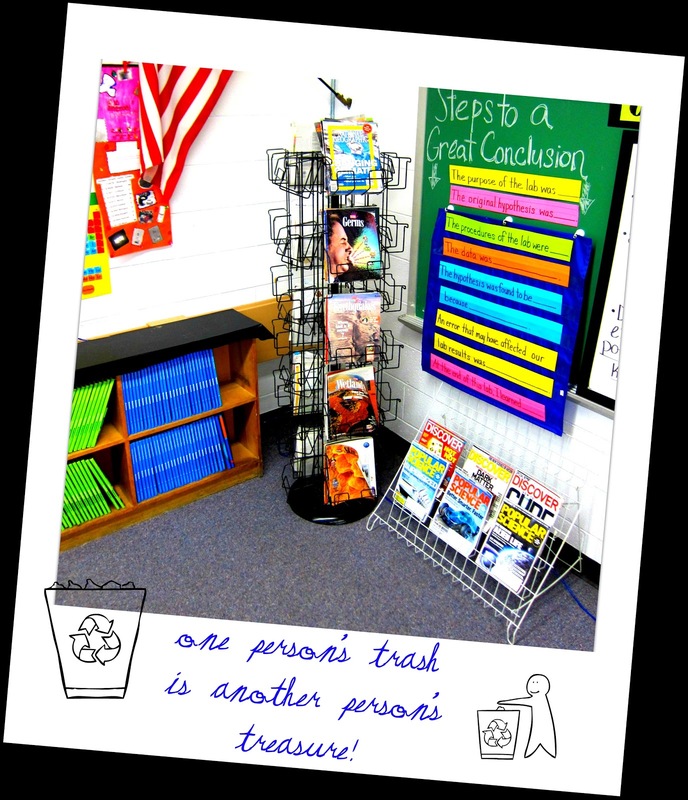 The racks were a great addition to my classroom and hopefully will save the magazines for a few more years. Does anyone else save old magazines? How do you preserve them? ?